EXCLUSIVE: Deepend has picked up a raft of new business wins from clients including Fairfax, Maille and CSR Bradford, as the agency aims to further cement its new positioning. The independent digital-focused agency has been appointment by Fairfax to create a website for the Premier's Reading Challenge. Deepend has previously worked with Fairfax on another project. Deepend has also been enlisted by CSR Bradford, a division of CSR Limited, to its digital business following a pitch. The agency will work on consumer brand strategy, design and technical production to create a consumer-facing online presence for CSR Bradford's energy product, marketed as CSR Energy Solution. Recently, Deepend has sought to reposition its brand from that of a digital agency to digital and innovation consultancy and created several innovation-focused roles. 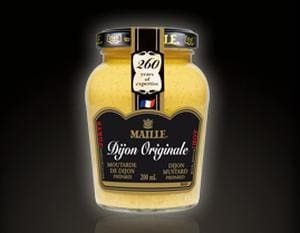 Deepend has been appointed to develop a brand strategy for mustard brand Maille.